– The Plymouth Pilgrims were the first to celebrate the Thanksgiving. – The Pilgrims sailed across the Atlantic Ocean to reach North America. – They sailed on the ship, which was known by the name of Mayflower. – They celebrated the first Thanksgiving Day at Plymouth, Massachusetts. – The Wampanoag Indians were the people who taught the Pilgrims how to cultivate the land. 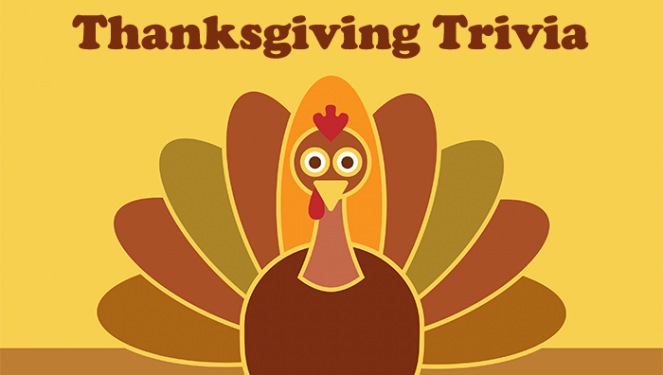 – The Pilgrim leader, Governor William Bradford, had organized the first Thanksgiving feast in 1621. He invited the neighboring Wampanoag Indians to the feast. – The first Thanksgiving celebration lasted three days. – Mashed potatoes, pumpkin pies, popcorn, milk, corn on the cob, and cranberries were not foods present on the first Thanksgiving’s feast table. – Lobster, rabbit, chicken, fish, squashes, beans, chestnuts, hickory nuts, onions, leeks, dried fruits, maple syrup and honey, radishes, cabbage, carrots, eggs, and goat cheese are thought to have made up the first Thanksgiving feast. – The pilgrims didn’t use forks; they ate with spoons, knives, and their fingers. – Abraham Lincoln issued a Thanksgiving Proclamation on October 3, 1863, and officially set aside the last Thursday of November as the national day for Thanksgiving. – The annual Macy’s Thanksgiving Day Parade tradition began in the 1920s. – In 1939, President Roosevelt proclaimed that Thanksgiving would take place on November 23, not November 30, as a way to spur economic growth and extend the Christmas shopping season. – Congress to pass a law on December 26, 1941, ensuring that all Americans would celebrate a unified Thanksgiving on the fourth Thursday of November every year. – Since 1947, the National Turkey Federation has presented a live turkey and two dressed turkeys to the President. The President does not eat the live turkey. He “pardons” it and allows it to live out its days on a historical farm. – The average weight of a turkey purchased at Thanksgiving is 15 pounds. – The heaviest turkey ever raised was 86 pounds, about the size of a large dog. – A 15-pound turkey usually has about 70% white meat and 30% dark meat. – The five most popular ways to serve leftover turkey is as a sandwich, in a stew, chili or soup, casseroles and as a burger. – Turkey has more protein than chicken or beef. – Turkeys will have 3,500 feathers at maturity. – Male turkeys gobble. Hens do not. They make a clucking noise. – Commercially raised turkeys cannot fly. – Turkeys have heart attacks. The United States Air Force was doing test runs and breaking the sound barrier. Nearby turkeys dropped dead with heart attacks. – It takes 75-80 pounds of feed to raise a 30-pound tom turkey. – A 16-week-old turkey is called a fryer. A five to seven-month-old turkey is called a young roaster.